Whether you are planning a quick getaway to Ambergris Caye or a long-term living situation on the island, you will be a short distance from the exciting destination of Belize City. Guests at both the Exotic Caye Beach Resort and the Grand Baymen should make time to visit the city and explore the culture, architecture and cuisine. Thankfully, there is no shortage of incredible meals to enjoy while in Belize City. Here are some of the top picks that any foodie will quickly fall in love with. For a unique twist on some favorite island foods, the Stonegrill Restaurant in Belize City is an incredible dining choice. The eatery is located just next to the pool, and the thatched roof lends to the credible tropical theme. The menu might look relatively basic at first glance, and it includes things like steaks, shrimp and whole fish. Rather than getting the food served cooked, however, guests get to sear the foods on heated volcanic stones right at their table. For a meal shared with local residents, head to the casual and affordable Dit's Restaurant on King Street. Run by a friendly and chatty woman named Ms. Nadine, Dit's serves up Creole cuisine with plenty of authenticity. Be sure to try the very traditional boil-up, which includes yams, fish and plantains boiled together in rich coconut milk. The name of this restaurant is a definite clue to the location, which overlooks both the Caribbean Sea and Haulover Creek. The menu features fresh island ingredients, but the preparation style is far from basic. Expect a creative dish that fuses traditional European cuisine with the spices and freshness of tropical island cuisine. For special evenings or romantic dinners, Harbour View is one of the top destinations for elegant cuisine in the city. 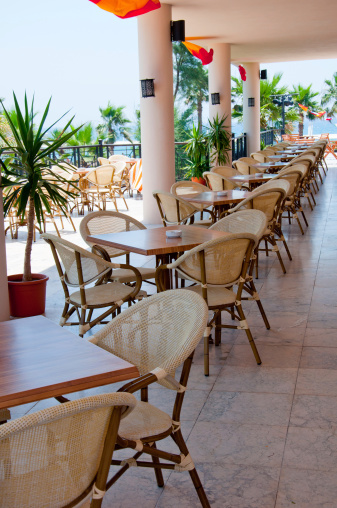 This casual bar and grill can get rowdy at night, but during the day, it is the perfect place to relax with a drink and a view of the water. Complement your beer or cocktail with their perfect conch fritter, a cheap and tasty menu item that regularly sells out because it is so popular among patrons. For hungry visitors, Belize City offers some amazing dining destinations. Whether you are planning to spend a few days in the city or you are just visiting for a day from Ambergris Caye, you won't be disappointed. Click here to learn more about Belize City and the surrounding areas.